DNA can’t explain all inherited biological traits, research shows. Traits passed between generations are not decided only by DNA, but can be brought about by other materials in cells. Edinburgh scientists studied proteins found in cells, known as histones, which are not part of the genetic code, but act as spools around which DNA is wound. Histones are known to control whether or not genes are switched on. Researchers found that naturally occurring changes to these proteins, which affect how they control genes, can be sustained from one generation to the next and so influence which characteristics are passed on. 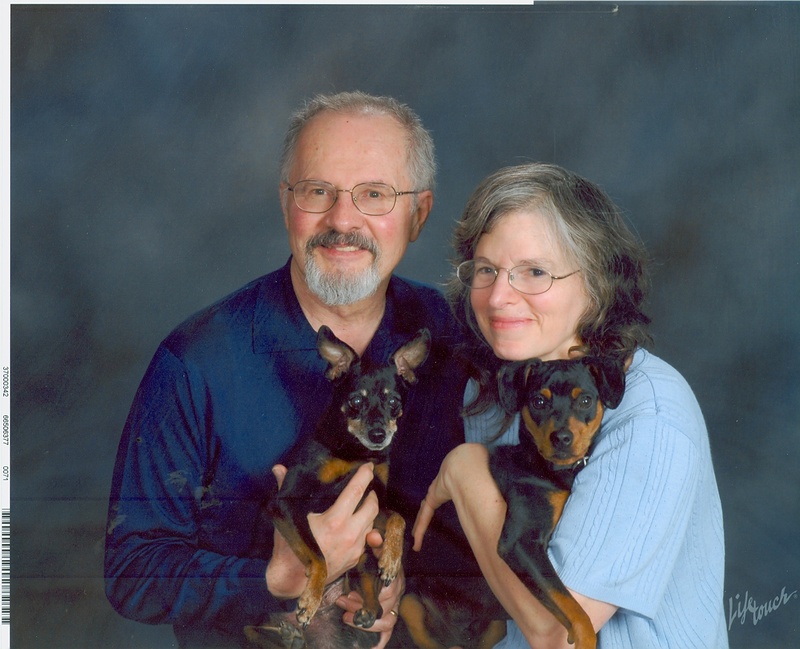 The finding demonstrates for the first time that DNA is not solely responsible for how characteristics are inherited. It paves the way for research into how and when this method of inheritance occurs in nature, and if it is linked to particular traits or health conditions. It may also inform research into whether changes to the histone proteins that are caused by environmental conditions – such as stress or diet – can influence the function of genes passed on to offspring. The research confirms a long-held expectation among scientists that genes could be controlled across generations by such changes. However, it remains to be seen how common the process is, researchers say. Scientists tested the theory by carrying out experiments in a yeast with similar gene control mechanisms to human cells. They introduced changes to a histone protein, mimicking those that occur naturally, causing it to switch off nearby genes. The effect was inherited by subsequent generations of yeast cells. The study, published in Science, was supported by the Wellcome Trust and the EC EpiGeneSys Network. We’ve shown without doubt that changes in the histone spools that make up chromosomes can be copied and passed through generations. Our finding settles the idea that inherited traits can be epigenetic, meaning that they are not solely down to changes in a gene’s DNA. Inderscience news: Unhealthy information remedy. A little health knowledge can be a very dangerous thing, especially if the information comes from the Internet. Now, research published in the International Journal of Intelligent Information and Database Systems, describes a new quality indicator to remedy that situation. Rey-Long Liu of the Department of Medical Informatics, at Tzu Chi University, in Hualien, Taiwan, explains how the internet has in many cases replaced one’s physician as the primary source of health information, particularly when someone is faced with new symptoms. Unfortunately, there is a lot of misinformation and disinformation readily available on the internet via myriad websites and networking groups that might, at first sight, offer a cure, but may lead to a putative patient following a hazardous route to health. Liu has developed a simple metric that can be used to analyse a document or website and ascertain just how reliable the medical information in it might be. The metric counts the number of different health or medical terms in the longest passage of a given document. In experiments on thousands of real web pages evaluated manually and with this “health information concentration” metric, Liu has been able to validate with precision those pages that have genuine medical information and revealed the quackery and ill-advised health pages. The approach is much more accurate than conventional web-ranking by search engines and precludes the need for natural-language comprehension by the system. The metric could readily be incorporated into search engine ranking algorithms to help healthcare consumers find high-quality information working alongside more conventional, general quality ranking parameters devised by the search engine companies for detecting relevance, importance, source and author of each webpage. Liu, R-L. (2014) ‘Automatic quality measurement for health information on the internet’, Int. J. Intelligent Information and Database Systems, Vol. 8, No. 4, pp.340–358. [National Geographic blog post] Could mothers’ milk nourish mind-manipulating microbes? Breast milk seems like a simple nutritious cocktail for feeding babies, but it is so much more than that. It also contains nutrients that feed the beneficial bacteria in a baby’s gut, and it contains substances that can change a baby’s behaviour. So, when a mother breastfeeds her child, she isn’t just feeding it. She is also building a world inside it and simultaneously manipulating it. To Katie Hinde, an evolutionary biologist at Harvard University who specialises in milk, these acts are all connected. She suspects that substances in milk, by shaping the community of microbes in a baby’s gut, can affect its behaviour in ways that ultimately benefit the mother. It’s a thought-provoking and thus far untested hypothesis, but it’s not far-fetched. Together with graduate student Cary Allen-Blevins and David Sela, a food scientist at the University of Massachussetts, Hinde has laid out her ideas in a paper that fuses neuroscience, evolutionary biology, and microbiology. It begins by talking about the many ingredients in breast milk, including complex sugars called oligosaccharides. All mammals make them but humans have an exceptional variety. More than 200 HMOs (human milk oligosaccharides) have been identified, and they are the third most common part of human milk after lactose and fat. Babies can’t digest them. Instead, the HMOs are food for bacteria, particularly the Bifidobacteria and Bacteroides groups. One strain in particular—Bifidobacterium longum infantis—can outcompete the others because it wields a unique genetic cutlery set that allows it to digest HMOs with incredible efficiency. Why would mothers bother producing these sugars? Making milk is a costly process—mums quite literally liquefy their own bodies to churn out this fluid. Obviously, it feeds a growing infant, but why not spend all of one’s energy on filling milk with baby-friendly nutrients? Why feed the microbes too? “To me, it seems incredibly evident that when mums are feeding the microbes, they are investing on a greater return on their energetic investment,” says Hinde. By that, she means that setting up the right communities of microbes provides benefits for the baby above and beyond simple nutrition. 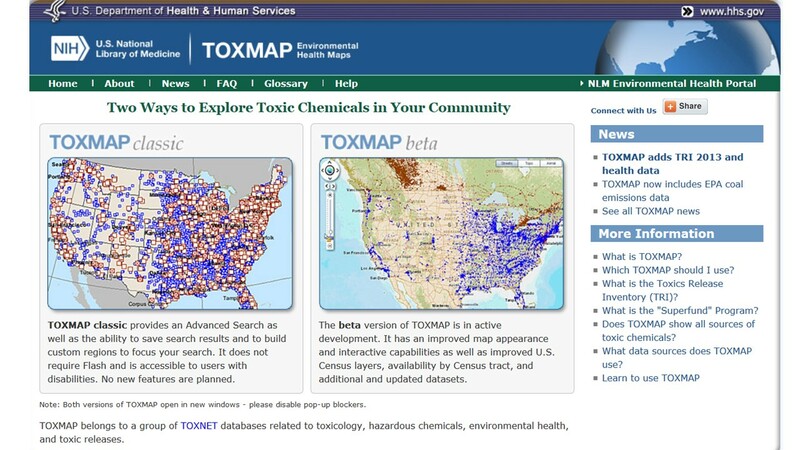 TOXMAP® is a Geographic Information System (GIS) that uses maps of the United States and Canada to help users visually explore data primarily from the US Environmental Protection Agency (EPA)’s Toxics Release Inventory (TRI) and Superfund Program. What makes peaceful neighbours become mass murderers : Nature News & Comment. It’s time to ask uncomfortable questions about the brain mechanisms that allow ‘ordinary’ people to turn violent, says Itzhak Fried. What happens in the brains of people who go from being peaceable neighbours to slaughtering each other on a mass scale? Back in 1997, neurosurgeon Itzhak Fried at the University of California, Los Angeles, conscious of the recent massacres in Bosnia and Rwanda, described this switch in behaviour in terms of a medical syndrome, which he called ‘Syndrome E’ 2. Nearly 20 years later, Fried brought sociologists, historians, psychologists and neuroscientists together at the Institute of Advanced Studies in Paris to discuss the question anew. At the conference, called ‘The brains that pull the triggers‘, he talked to Nature about the need to consider this type of mass murder in scientific as well as sociological terms, and about the challenge of establishing interdisciplinary dialogue in this sensitive area. There was a myth that the primitive brain is held in check by our more-recently evolved prefrontal cortex, which is involved in complex analysis, and that the primitive, subcortical part takes over when we carry out brutal crimes such as repetitive murder. But I saw it the other way around. The signs and symptoms that I gathered in my research indicated that the prefrontal cortex, not the primitive brain, was responsible, because it was no longer heeding the normal controls from subcortical areas. I called it ‘cognitive fracture’ — the normal gut aversions to harming others, the emotional abhorrence of such acts, were disconnected from a hyper-aroused prefrontal cortex. I also proposed a neural circuitry in the brain that could perhaps account for this. In brief, specific parts of the prefrontal cortex become hyperactive and dampen the activity of the amygdala, which regulates emotion. If mass murder happens because of activity in the brain, what does this say about personal responsibility? Perpetrators of repeated killings have the capacity to reason and to solve problems — such as how best practically to kill lots of people rapidly. Proposing the existence of a syndrome does not absolve them of responsibility. [Biomedical Journal Article] Debate: Is the long term use of psychiatric drugs harmful? Raised standardised mortality rates and reduced life expectancy have been reported in people with psychiatric disorders such as psychosis and mood and personality disorders.27 These increased death rates are only partly because of suicide and mostly attributable to coexisting physical health disorders. There is thus a clear need for psychiatric disorders to be treated to attempt to reduce the long term harm associated with them. The key question is whether psychiatric drugs do more harm than good. All therapeutic interventions may potentially do both good and harm, and thorough evaluation of the relative benefits and harms of a treatment should be done for psychiatric drugs no less than for any others.28 These evaluations of benefits and harms are based on group data, which have to be applied to judgments for individual patients and can therefore be advisory only; the individual’s subjective experience is crucially important to consider. Nevertheless, many concerns have been expressed about psychiatric drugs, and for some critics the onus often seems to be on the drug needing to prove innocence from causing harm rather than a balanced approach to evaluating the available evidence. Whether concerns are genuine or an expression of prejudice is not clear, but over time many concerns have been found to be overinflated. A few examples may be illustrative. 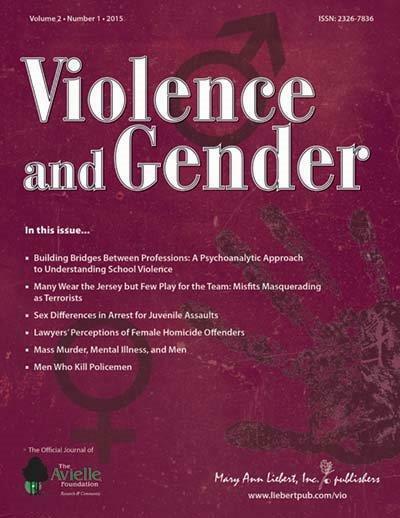 Mass murder, mental illness, and men | EurekAlert! Science News. Author Michael Stone, MD, Columbia College of Physicians and Surgeons and Mid-Hudson Forensic Psychiatric Hospital, New York, NY, provides an in-depth look at the scope of mass murders committed in the U.S. during recent decades, describing the crime as “an almost exclusively male phenomenon.” Most mass murderers have a mental illness characterized by a paranoid personality disorder that includes a deep sense of unfairness and a skewed version of reality. Unfortunately, this profile of the men who have committed mass murders has often led to the unwarranted stigmatization of the mentally ill as a group as being inherently dangerous, which is not the case. Dr. Stone points in particular to the growing availability of semiautomatic weapons as a key factor contributing to the increasing rate of random mass shootings in the U.S. during the past 65 years. The number of events nearly doubles in the 1990s compared to the 1980s, for example. Why Big Pharma is not addressing the failure of antidepressants. Around a quarter of people experience depression at some point in their lives, two-thirds of whom are women. Each year more than 11m working days are lost in the UK to stress, depression or anxiety and there are more than 6,000 suicides. The impact of depression on individuals, families, society and the economy is enormous. Front-line therapies usually include medication. All the commonly prescribed antidepressants are based on “the monoamine hypothesis”. This holds that depression is caused by a shortage of serotonin and noradrenaline in the brain. Existing antidepressants are designed to increase the levels of these chemicals. The first generation of antidepressants were developed in the 1950s and a second generation came in the 1980s. Products such as Prozac and Seroxat were hailed as “wonder drugs” when they first came onto the market. In the roughly 30 years since, these kinds of drugs have come to look tired and jaded. Patents have expired and there are doubts about their efficacy. Some scientists even argue the drugs do more harm than good. There has been no third generation of antidepressants. This is despite there having been moon-landing levels of investment in research. The antidepressant discovery process that gave rise to the earlier drugs is clearly broken. It is also apparent that this process had never worked that well, since the only real improvements over the previous 60 years were a reduction of side-effects. By the mid-2000s the major pharmaceutical companies started disinvesting in this area. Government funding for basic research into depression and charitable funding followed a similar pattern. In 2010 GSK, AstraZeneca, Pfizer, Merck and Sanofi all announced that they had stopped looking for new antidepressants altogether. Professor David Nutt, the former government drug advisor, declared this to be the “annus horribilis” for psychiatric drug research. The likelihood now is that there will be no new antidepressants for decades. However, there continues to be an urgent and pressing need for more effective treatments. The question the drug companies now need to ask themselves is, did they fail because the task was impossible, or did they fail simply because they got things wrong? Our view is that there was a systems failure. Certain meditation techniques can promote behavior to vary adaptively from moment to moment depending on current goals, rather than remaining rigid and inflexible. This is the outcome of a study by Lorenza Colzato and Iliana Samara from the Leiden Institute of Brain and Cognition at Leiden University, published in Consciousness and Cognition. Compared to participants who performed OMM, people who performed FAM were significantly better in adapting and adjusting their behavior from moment to moment. Colzato: “Even if preliminary, these results provide the first evidence that meditation instantly affects behavior and that this impact does not require practice. As such, our findings shed an interesting new light on the potential of meditation for optimizing adaptive behavior.